At Harcourts we have created a positive and uplifting environment where top achievers can both succeed and feel at home – where success is expected and fostered by a supportive management team. Our branch managers and franchise owners, all top sales achievers themselves, each come from long and successful careers in real estate. Providing them with the support they need to achieve these goals and objectives – technology, administration, systems and structures. It's no mistake that the Harcourts team has been consistently ranked the top of its group within Harcourts almost every year, for the past ten years. 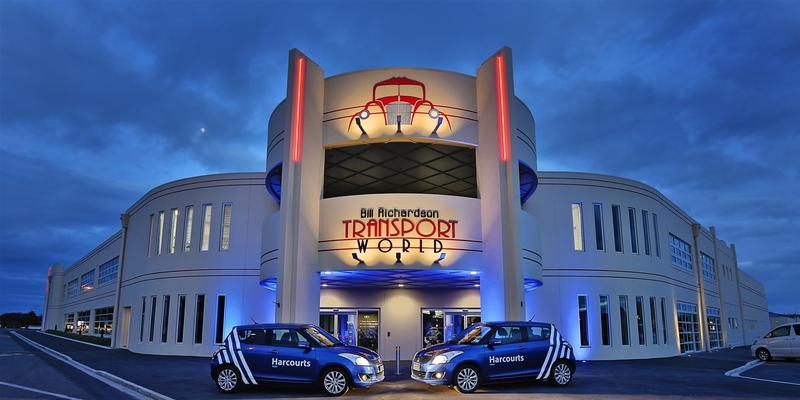 The quality of the Harcourts training and systems have even been recognised in the prestigious Harcourts Hall of Fame. We are always keen to speak with motivated people who are committed to delivering high standards of client service. Whether your interest is in residential, commercial or lifestyle, we'd love the opportunity to find out how we can help you achieve your career goals. "Harcourts' exceptional success is based on a simple philosophy - create a culture of growth, an environment where our people can achieve whatever goals they set for themselves, and be an organisation where the success of every individual is first and foremost. As part of that support we offer some of the best technology that you can use in to grow your business. From Listing systems, client management and personal marketing, property campaign management not to mention the best deals on iPads and iPhones around, it's no wonder we sell one in five properties across New Zealand. With a range of opportunities for you within Harcourts we want you to join us as we continue to be the most successful, dynamic and fastest growing real estate network in the world. Companies don't succeed, people do - be a part of our success and take the next step in achieving your goals today!" - Hayden Duncan, Chief Executive Officer, Harcourts New Zealand. A career in real estate is hard work and requires effort but is very rewarding, both personally and financially. To be eligible to sell real estate in New Zealand, you first need to complete your qualifications and licensing requirements. We recommend studying through The Open Polytechnic of New Zealand. The course can be taken via correspondence or contact class throughout the year. Applying for your Real Estate Salespersons Certificate Once you have successfully completed your salespersons course and passed the course requirements, you need to apply to the Real Estate Institute of New Zealand to be legally licensed to sell real estate as a salesperson. This application is made by Harcourts Real Estate on your behalf, once you have been offered a place within our sales team. If you have already completed your salespersons course please contact us to discuss any upcoming sales consultant opportunities. All new consultants start their career by attending the Harcourts Academy, located at the South Island regional office in Christchurch. The Academy is the only Real Estate training facility in Australasia to offer a structured course path and tailored system of learning for ongoing professional development. The initial new consultant course provides a valuable foundation for your success in real estate, and the course offers an 'on the job learning' option to achieve your advanced real estate qualifications. The Harcourts Academy is offered at set dates throughout the year - contact us to find out when the next course starts. We are dedicated to ensuring we attract and retain the very best performers in the industry. We are committed to developing all of our team regardless of experience to be ahead of their competitors in terms of training, market knowledge and skills. Every week the Harcourts team join together in our dedicated training room to share ideas, learn from each other and listen to invited guest speakers. Topics are diverse and include professional development, personal development, business planning and even computer skills!